Accenture, a leading global professional services company, has been ranked first across eight key service categories in a new study in the GCC, surpassing other top consulting firms in the region for the quality of its business strategy offering. Conducted by Source Global Research, the GCC Client Perception Study 2018 ranks the region’s leading consulting firms based on client perceptions. “We have worked hard to differentiate our offerings, particularly in the business strategy space, where clients benefit from data-driven insights that enable competitive agility and drive growth,” said Alexis Lecanuet, regional managing director of Accenture in the Middle East and Turkey. For the study, Source Global Research surveyed senior executives, directors and senior managers in the GCC responsible for buying substantial volumes of consulting services in the previous year to gauge how consulting firms stack up against their competitors in the eyes of current and prospective clients. The respondents surveyed represent a wide range of industries and business functions, with more than two-thirds (68 percent) of them working in organizations that generate more than $500 million in annual revenue. The study is also based on qualitative research from interviews carried out in 2017 and 2018 with senior buyers of consulting in the GCC. • #1 for quality, according to respondents in an IT role. 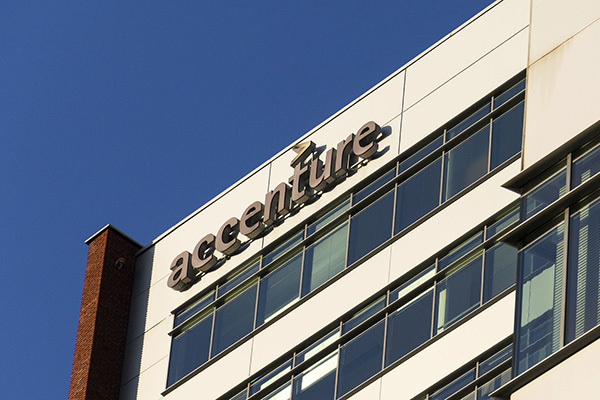 “As a services business, we’re incredibly proud that our clients have recognized our efforts and prefer Accenture across these key categories,” said Visar Sala, a managing director at Accenture who leads Accenture Strategy in the Middle East and Turkey.